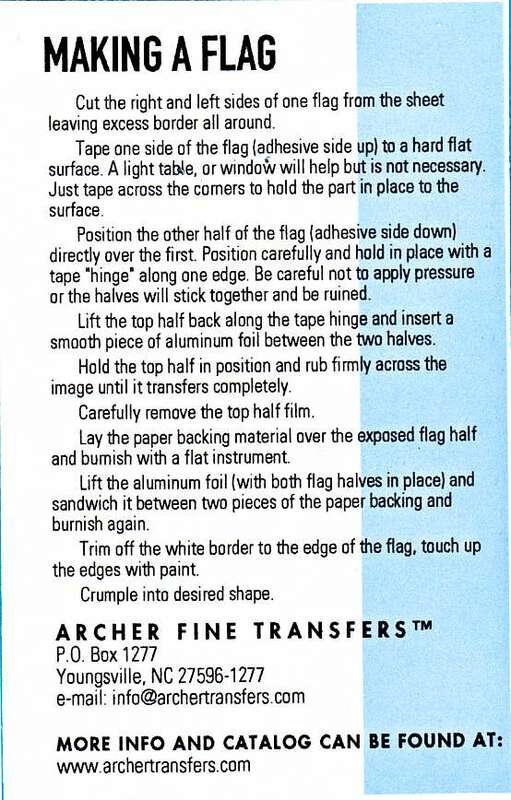 AR74003 - German national flag. 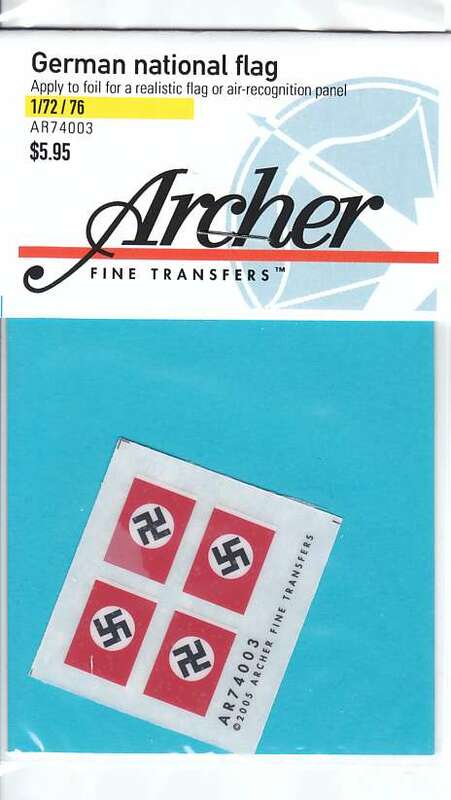 The set comes in a plastic bag with label. 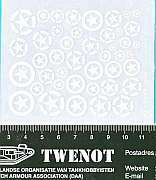 The size of the transfer is (4 x 4.5)cm and contains four flags. 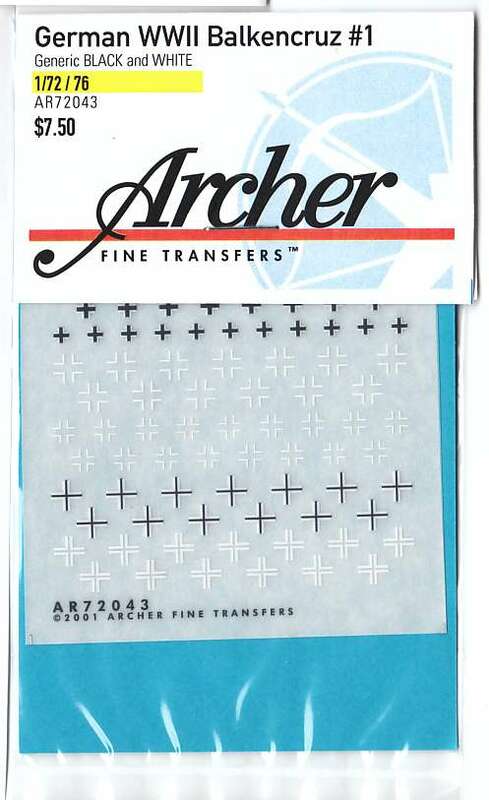 AR72059R - German WWII turret characters. 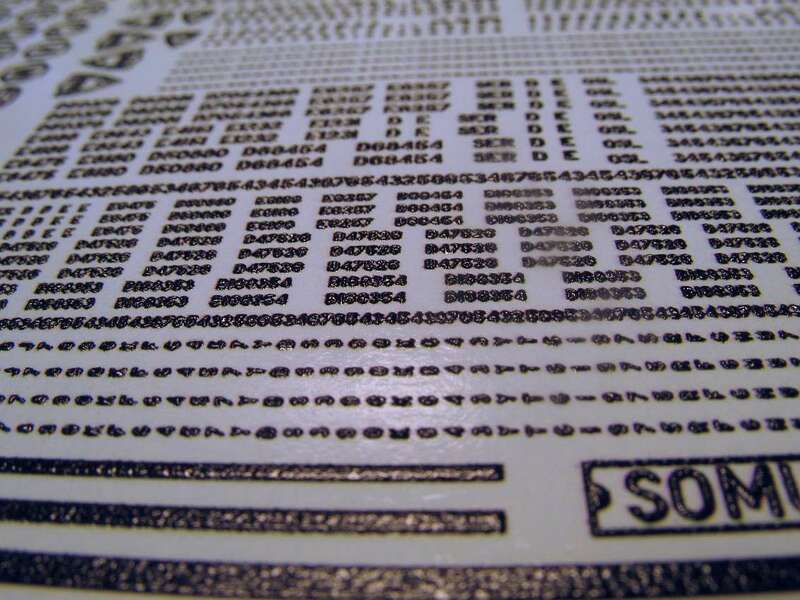 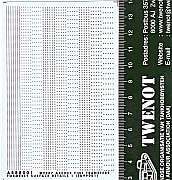 The size of the transfer is (5 x 7.5)cm and contains 10 rows of turret-characters in two different sizes. 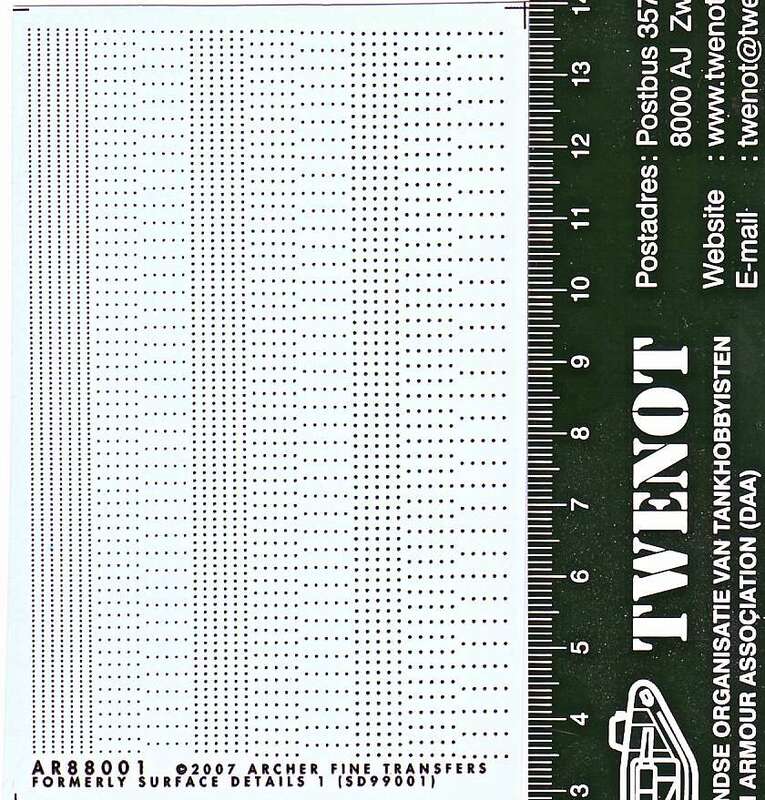 The size of the transfer is (7 x 7)cm and contains 5 rows of Balkencruz in black or white and different variants. 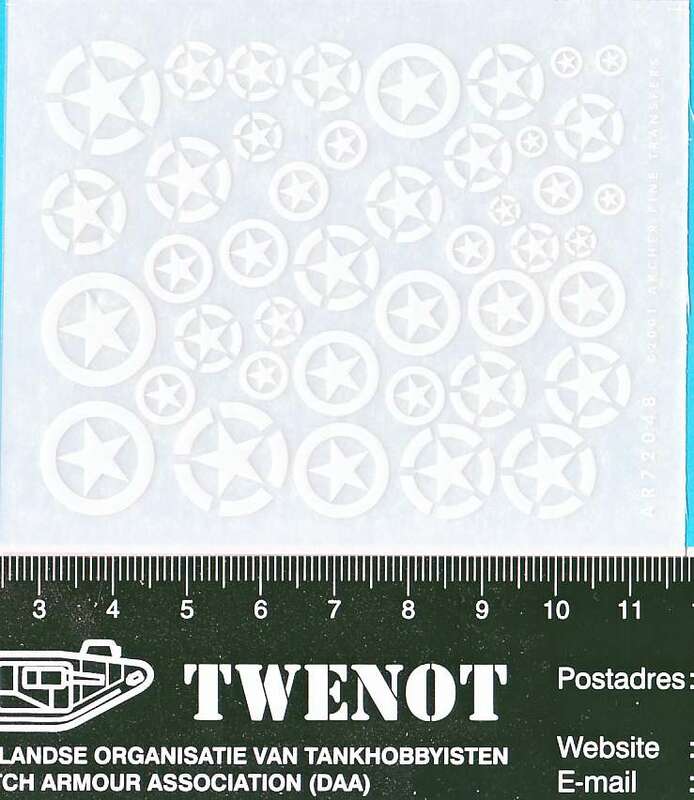 The size of the transfer is (7.5 x 9.5)cm and contains different sizes US stars in circles. 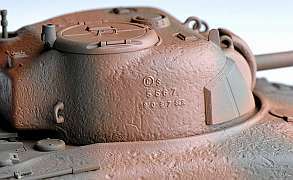 Many plastic and resin models in "Braille Scale" lack details such as rivets/screws, armor casting symbols and an upgrade is needed. 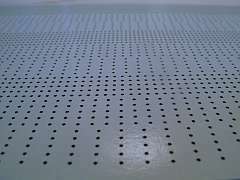 Creating correct rivets etc. 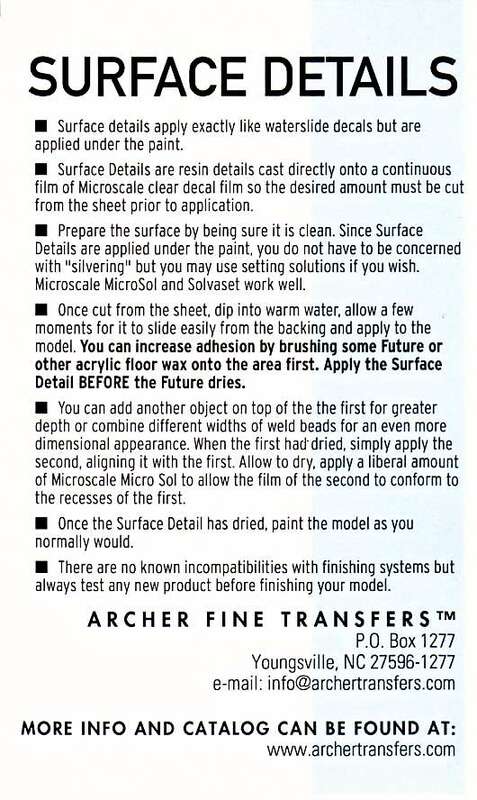 is a nightmare for many modellers most of the time. 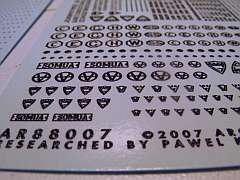 There are tools available such as punch and die sets and other instruments. 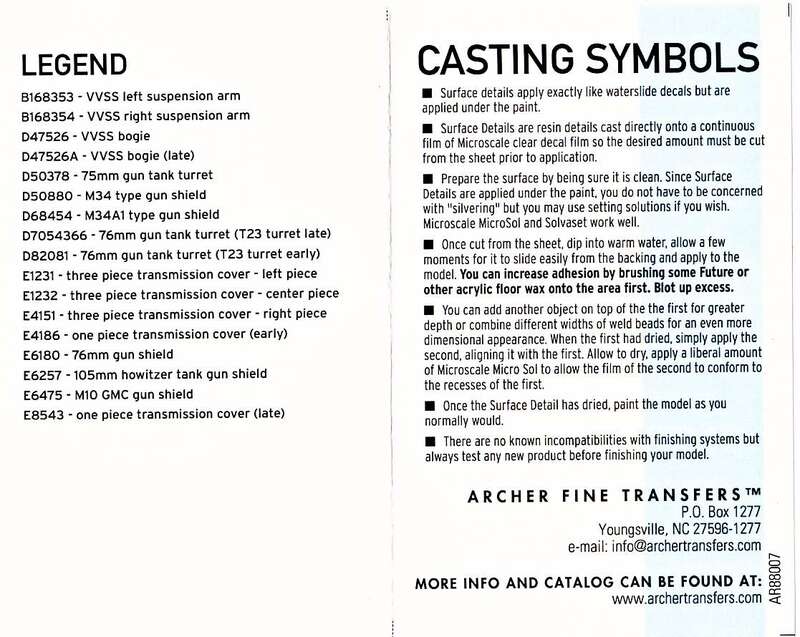 There are also many techniques using glue, hot needle, very thin sprue etc. 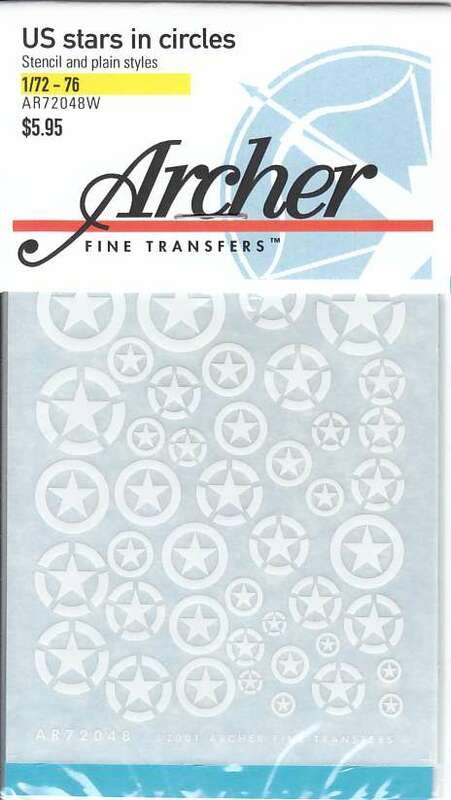 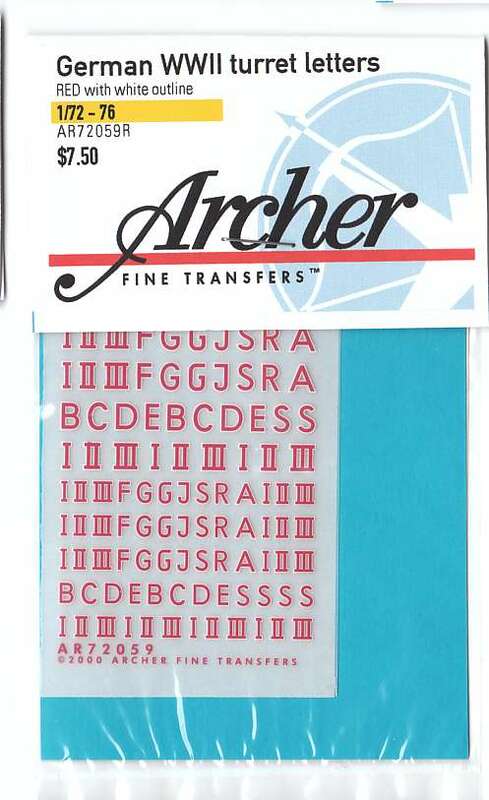 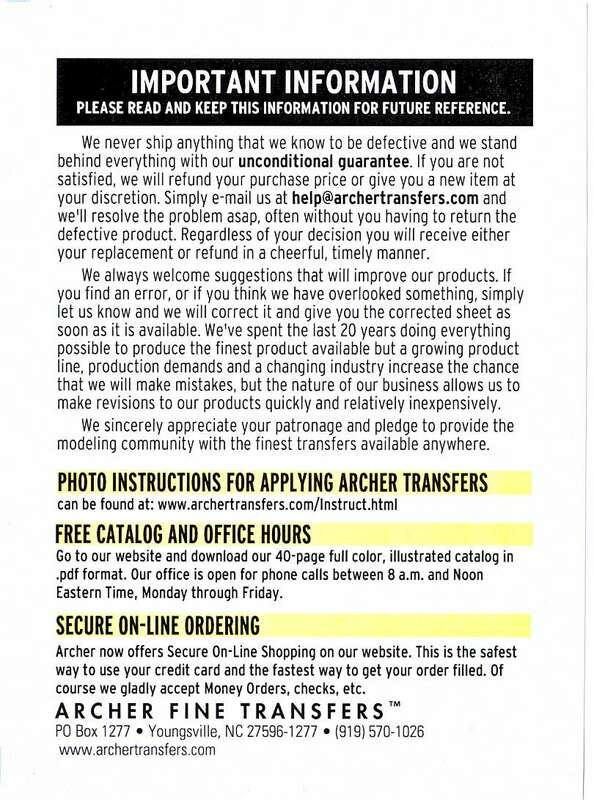 It appears that Archer Transfers has devised a very simple way to create nice rivets etc. 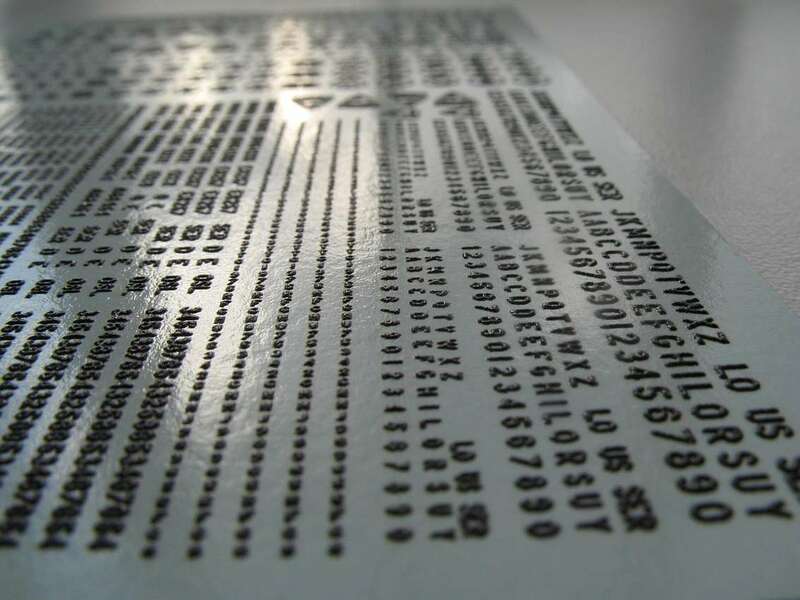 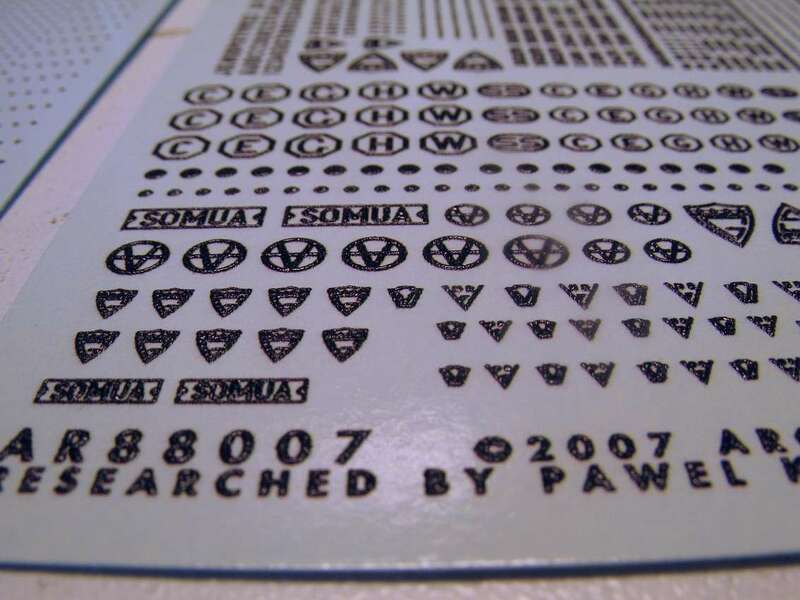 They have developed a way to cast tiny resin details onto clear decal film that can be applied as simply as a water slide decal. 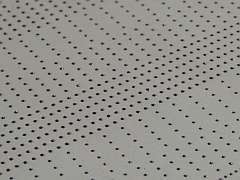 AR88001 - Surface details #1 - rivets/screws sheet of .008, .011, .014 inch diameter fastener heads. 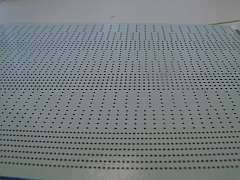 There is a total of almost 100 linear inches of rivets on this sheet. 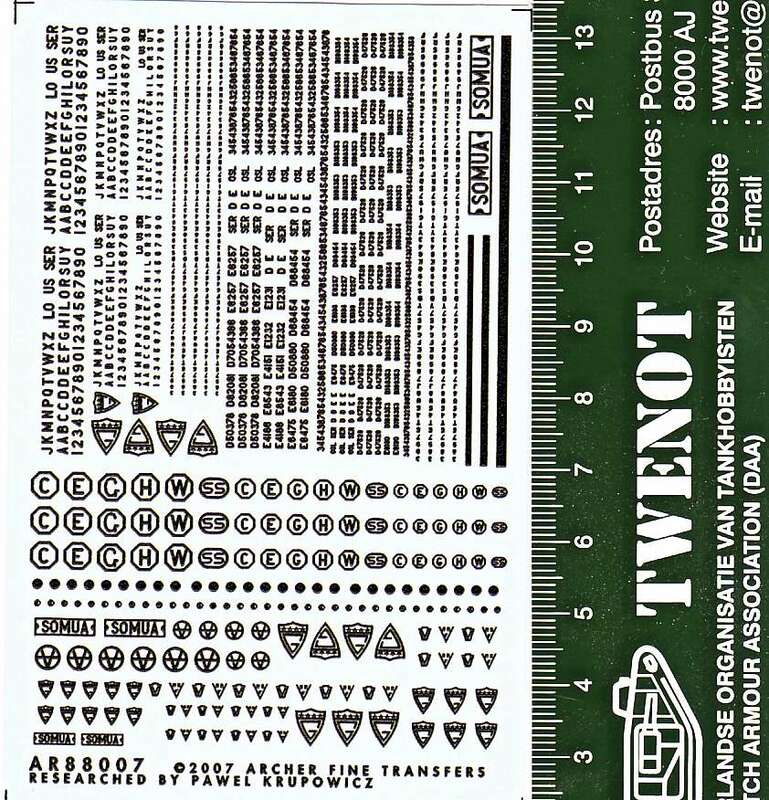 This is a good choice if you're not looking for any specific scale and just need a selection of various size rivets. 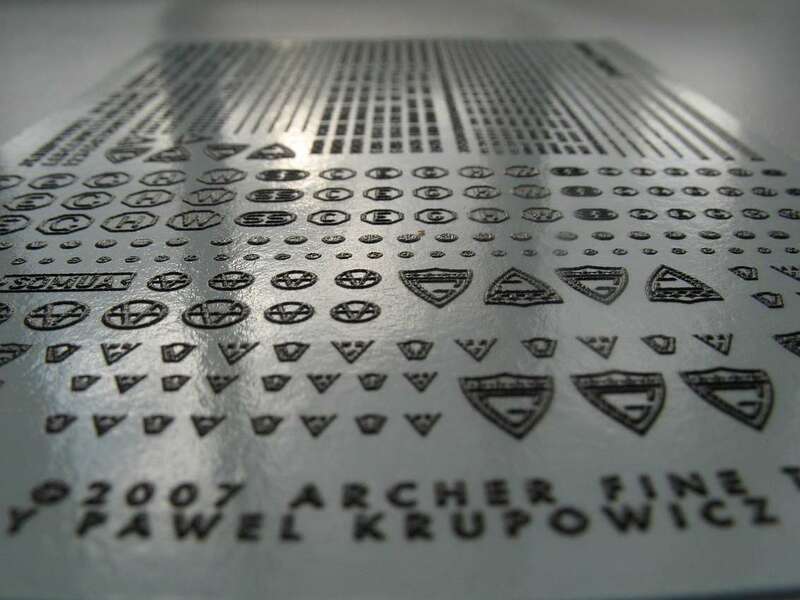 The size of the transfer is (7.5 x 11)cm and contains rivets/screws in different sizes. 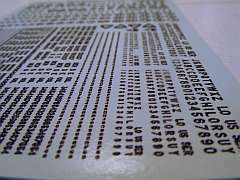 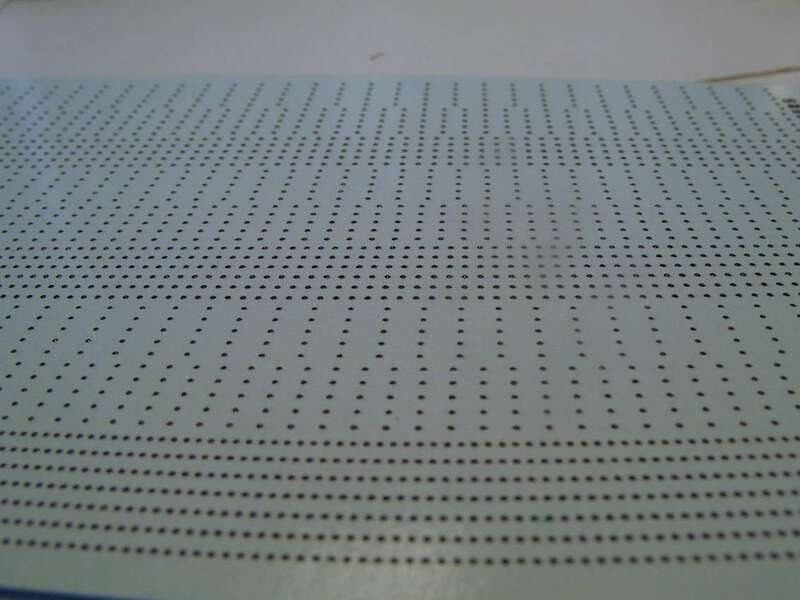 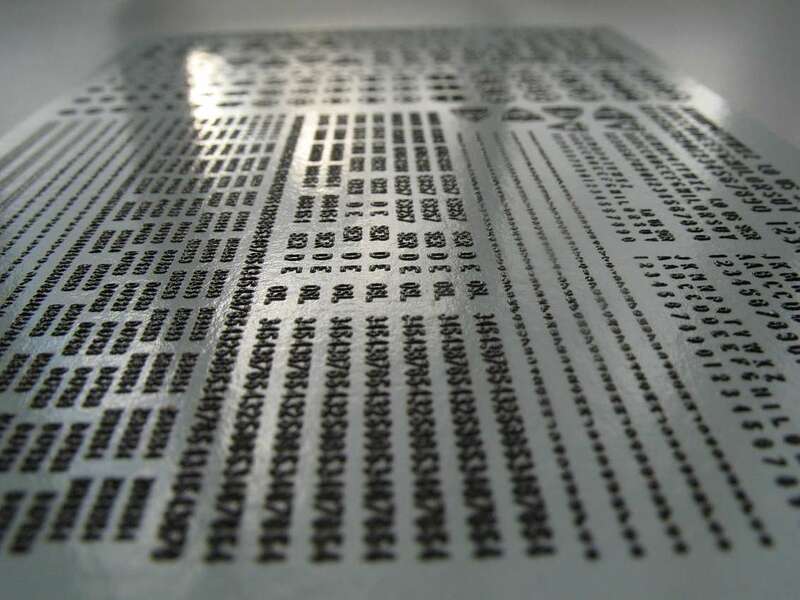 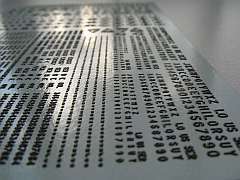 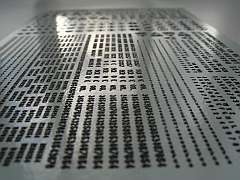 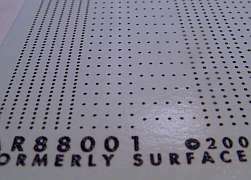 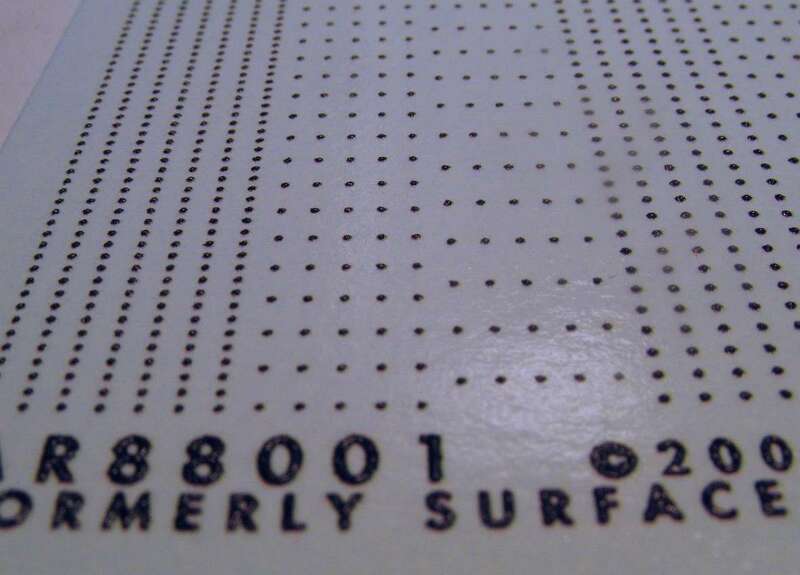 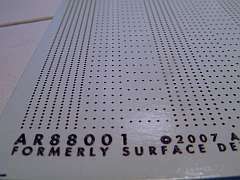 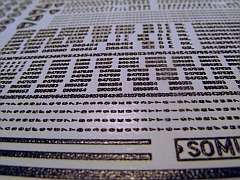 The transfer is usable for various scales (braille Scale). 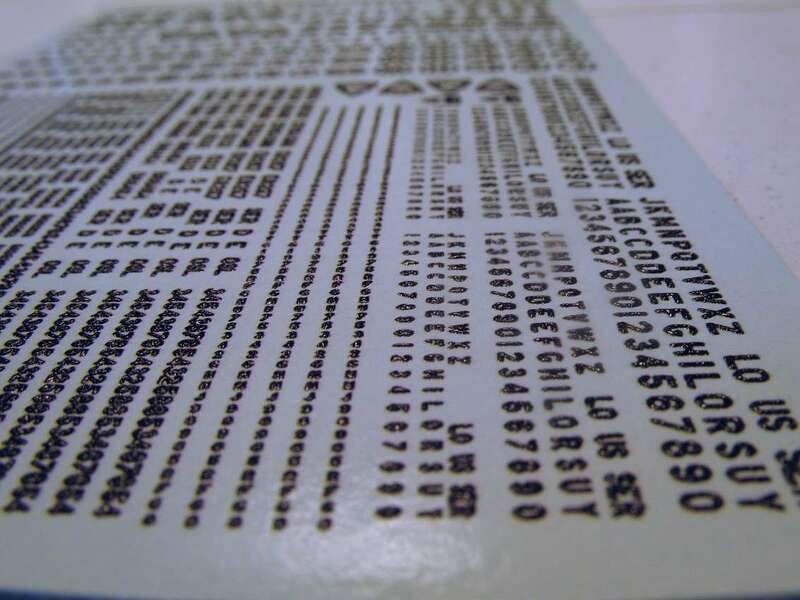 An entirely new technology molds three dimensional details onto clear decal film that is applied UNDER the paint to add missing details or to replace details lost by sanding. 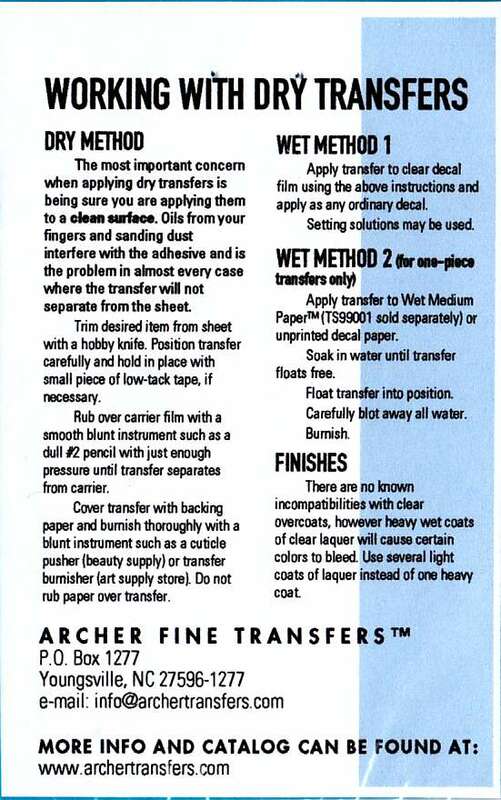 Apply like water slide decals. 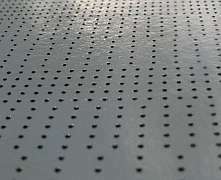 AR88014 - a full sheet of the smallest (.008 inch diameter) rivets on this sheet: 108" (274 cm) of .028" (.71 mm) spacing, 44" (112 cm) of .068" (1.73 mm) spacing and 36" (92 cm) of .095" (2.41 mm) spacing. 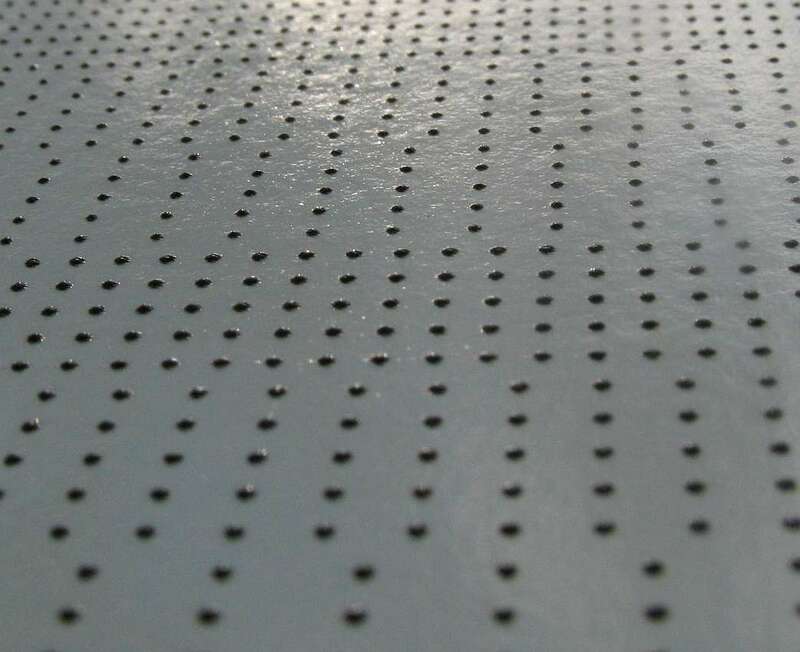 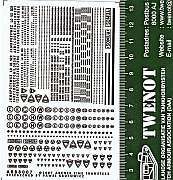 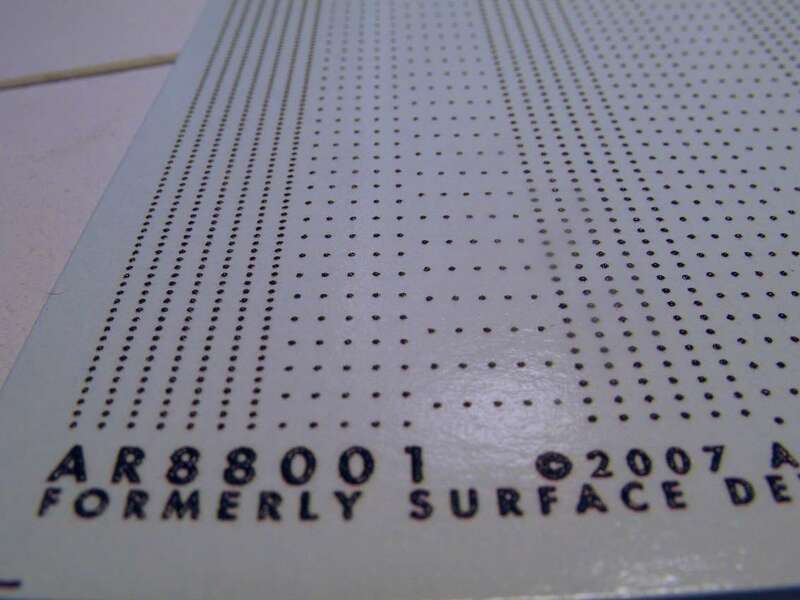 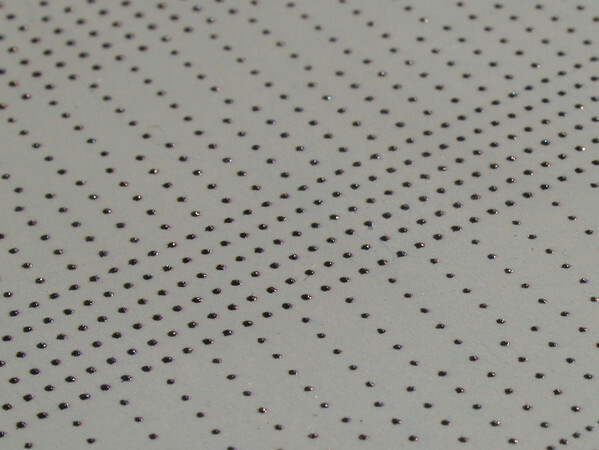 AR88015 - a full sheet of the middle-size (.011 inch diameter) rivets on this sheet: 108" (274 cm) of .043" (1.09 mm) spacing, 44" (112 cm) of .068" (1.73 mm) spacing and 36" (92 cm) of .098" (2.49 mm) spacing. 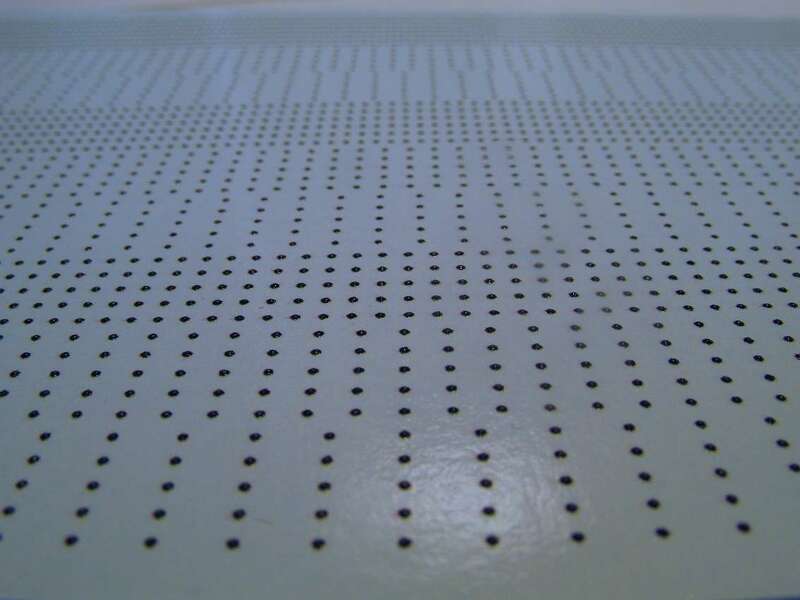 AR88016 - a full sheet of the largest (.014 inch diameter) rivets on this sheet: 108" (274 cm) of .057" (1.44 mm) spacing, 32" (81 cm) of .083" (2.11 mm) spacing and 32" (81 cm) of .124" (3.15 mm) spacing. 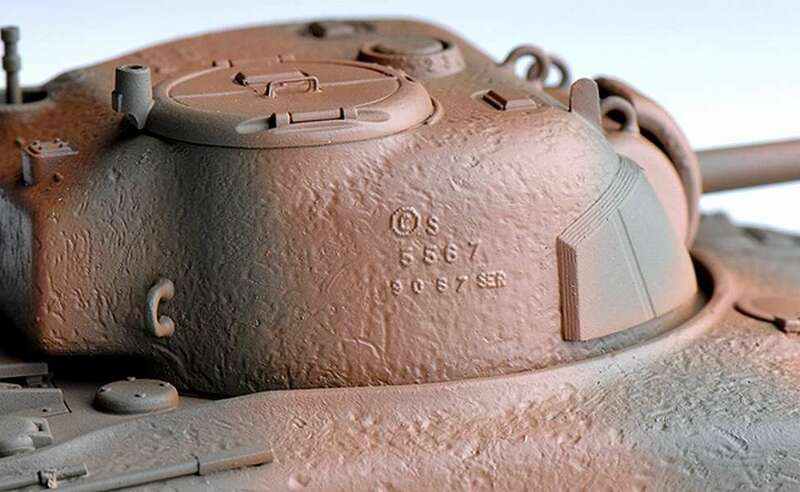 AR88007 - Surface details #7 - armor casting symbols and markings. 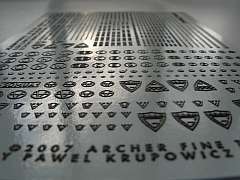 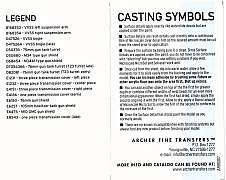 The size of the transfer is (7.5 x 11)cm and contains armor casting symbols and markings.